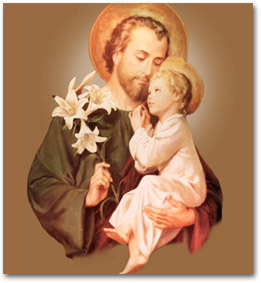 Saint Joseph was the father of Jesus and husband of Mary. He is said to have been a carpenter and is thought to have passed on before Jesus began his public ministry. In his embodiment as Saint Germain, he is the hierarch of the Aquarian age and sponsor of freedom’s flame together with his twin flame, the ascended lady master Portia, the Goddess of Justice. Saint Germain and Portia deliver to the people of God the dispensation for the seventh age and the seventh ray—the violet ray of freedom, justice, mercy, alchemy and sacred ritual—a new lifewave, a new civilization, a new energy.